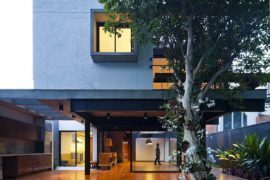 While some prefer sleek, urban minimalism, others tend to find solace in design styles that require far less maintenance and are a touch more unpolished in nature. 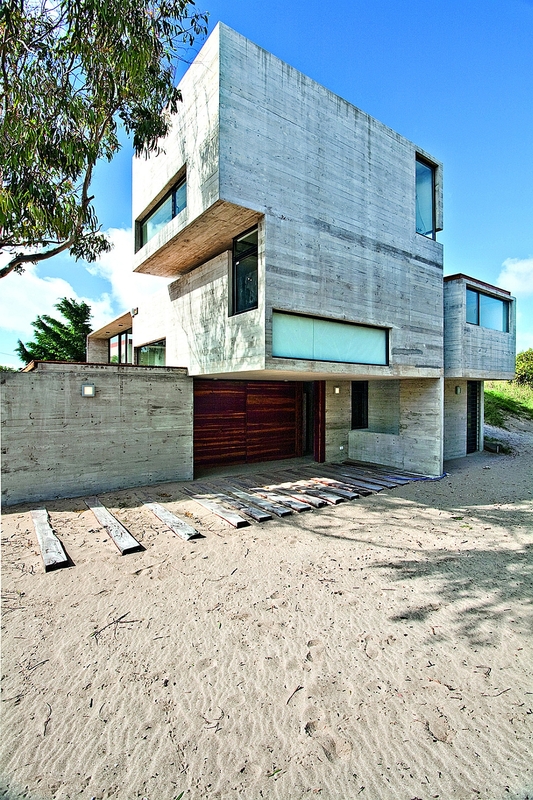 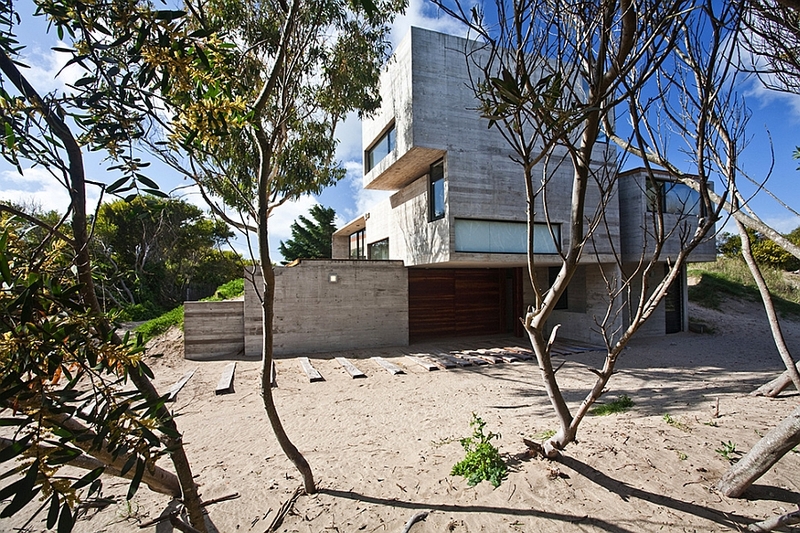 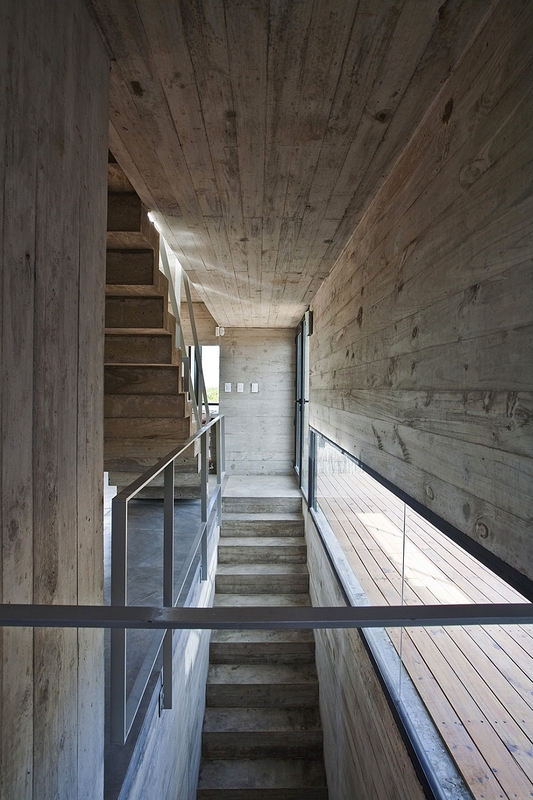 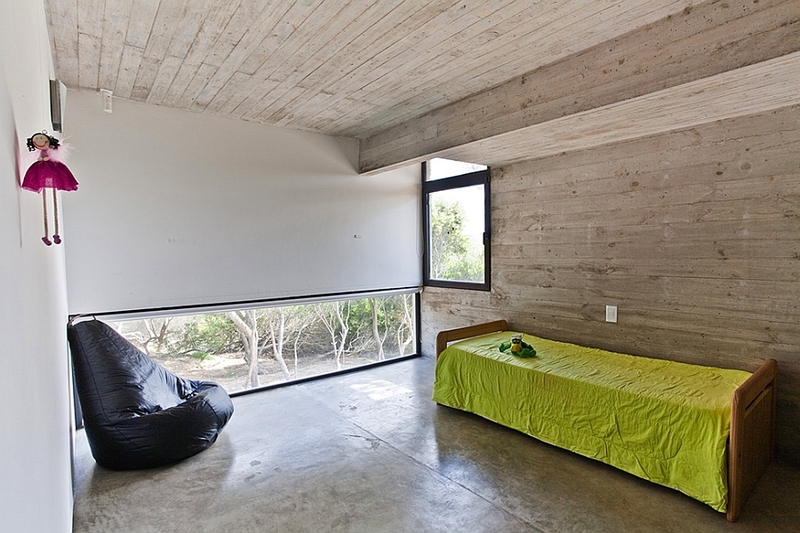 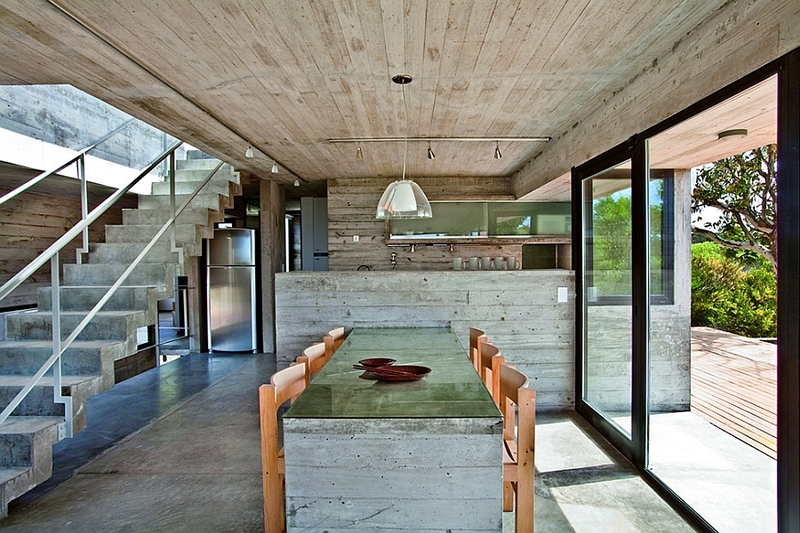 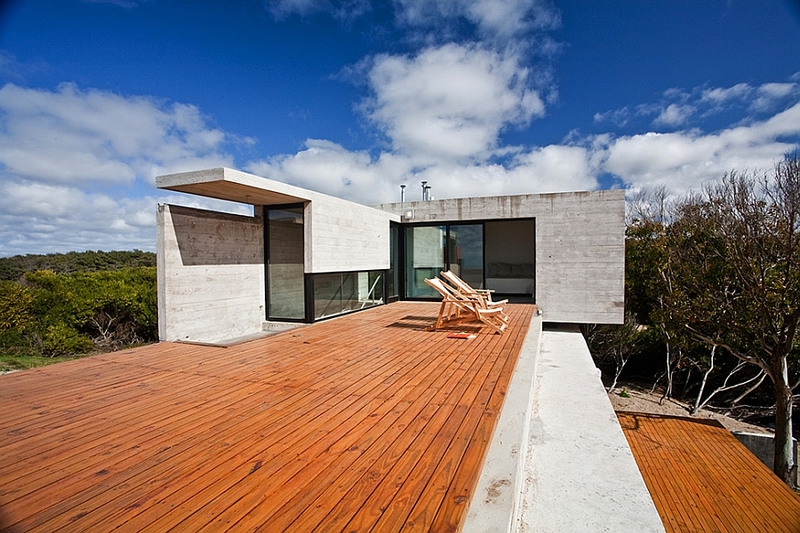 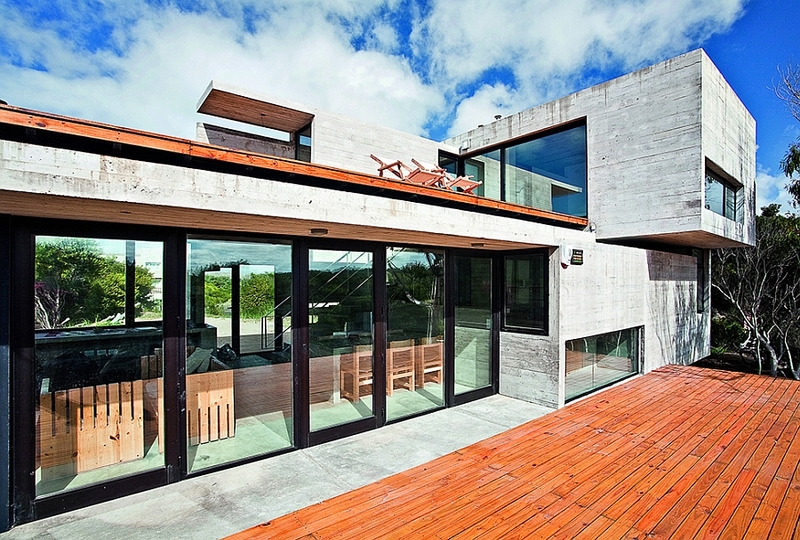 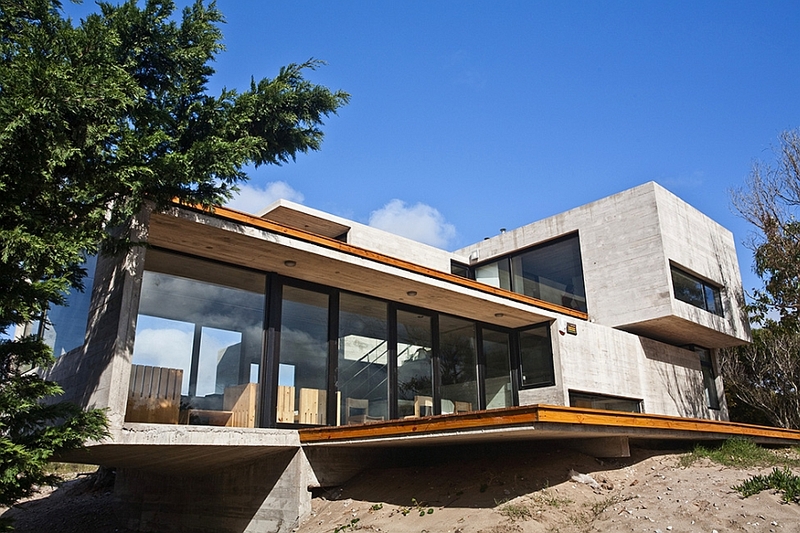 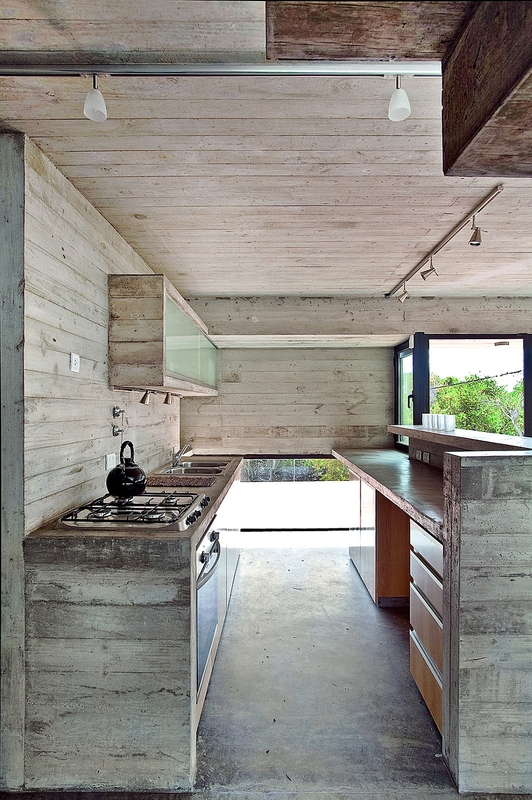 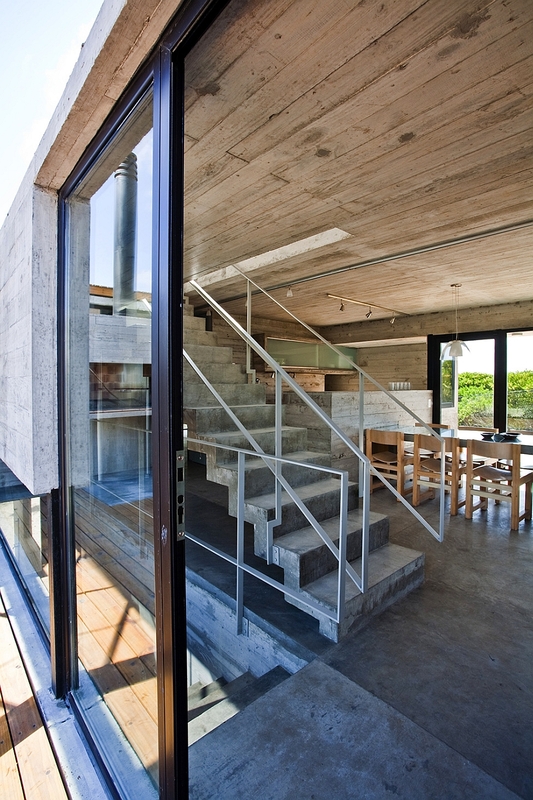 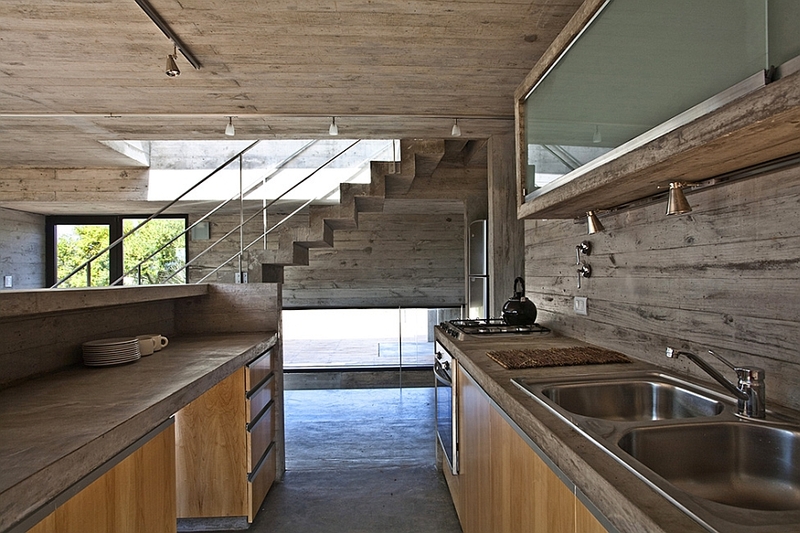 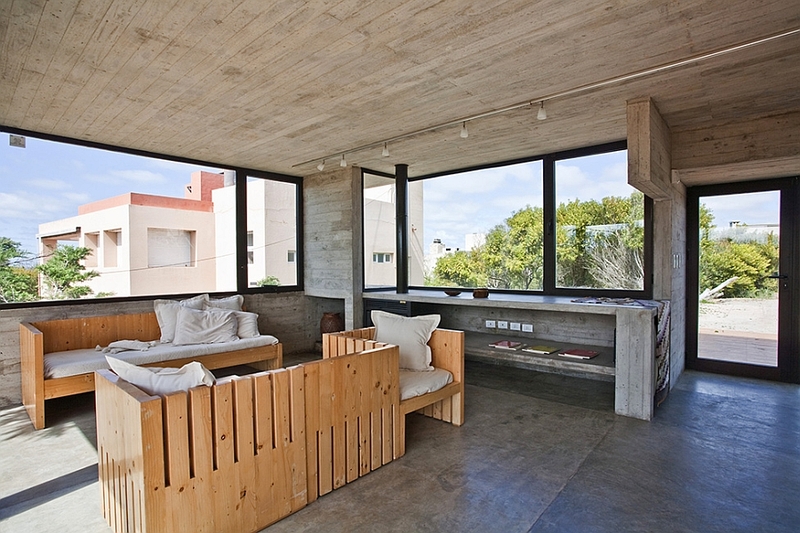 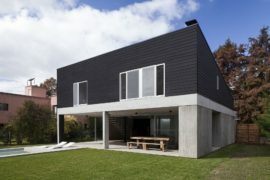 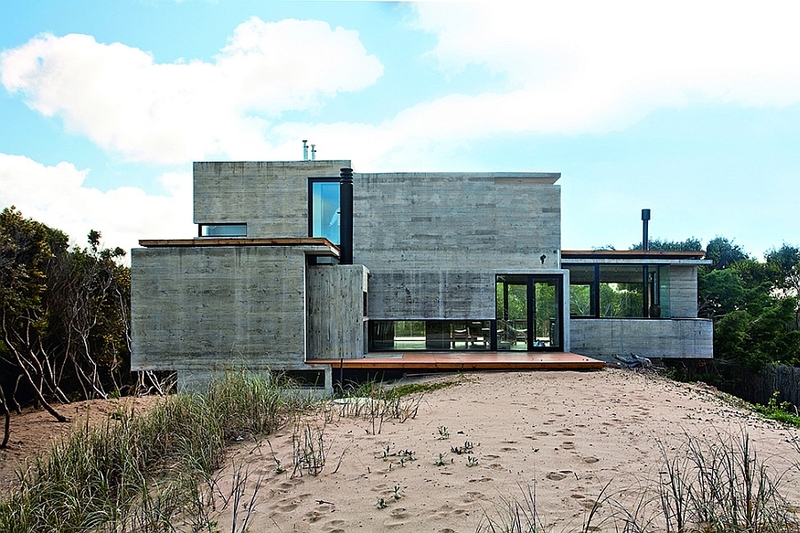 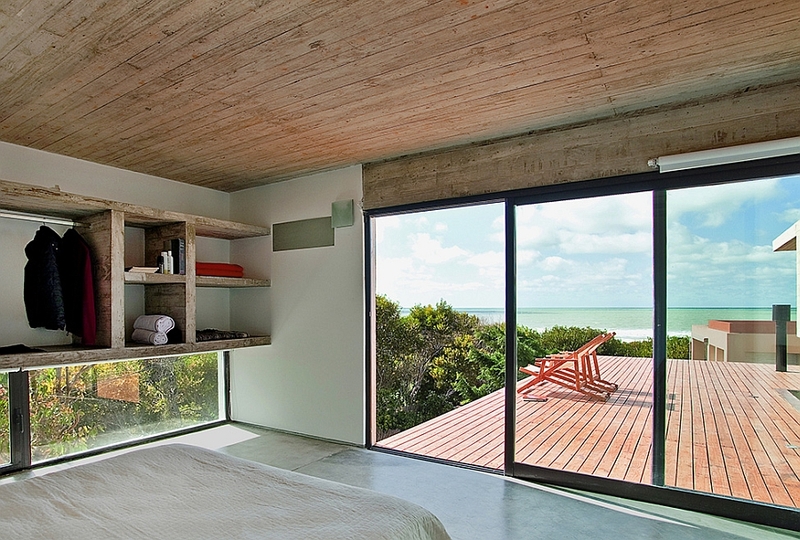 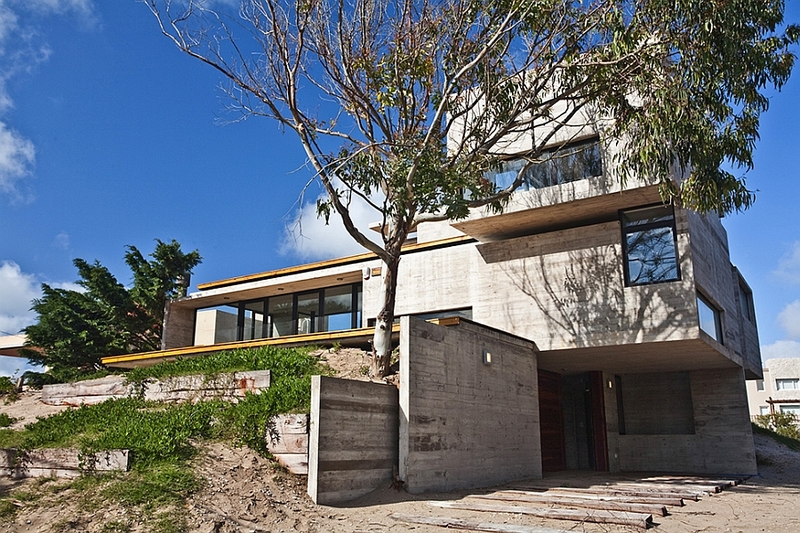 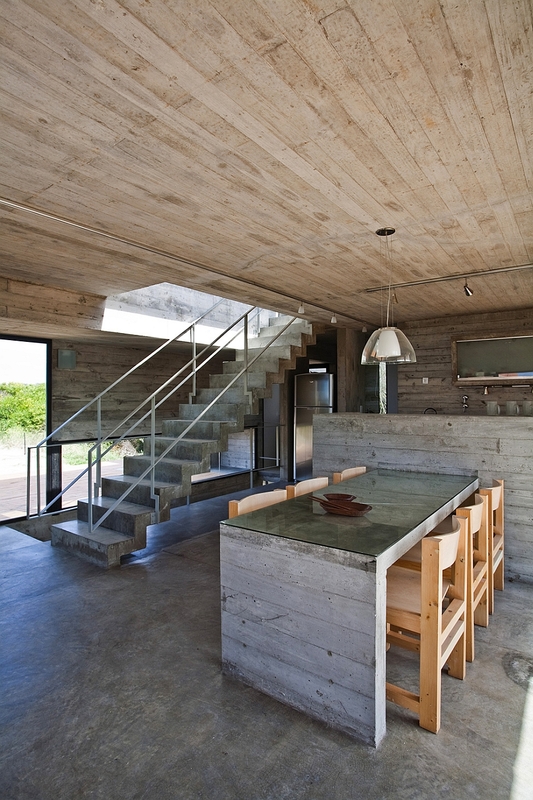 Designed with immaculate elegance by BAK Architects, the exceptional Concrete House in Buenos Aires Province, Argentina is all about embracing cool industrial charm. 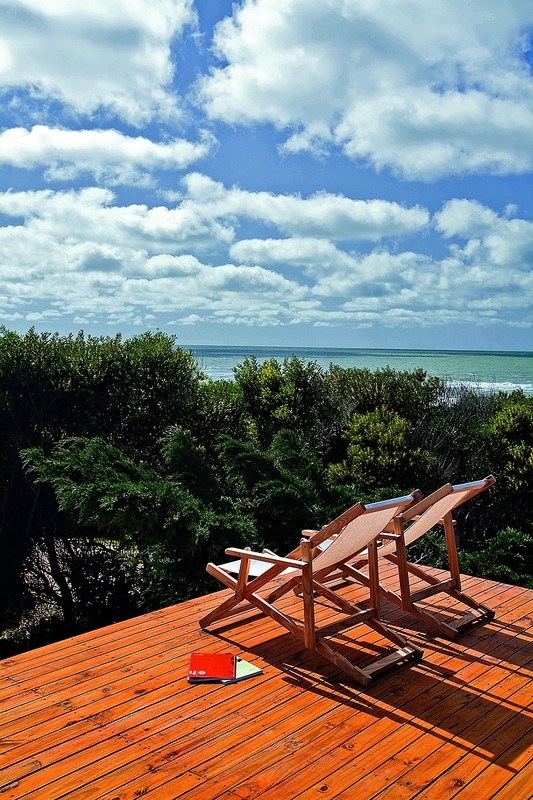 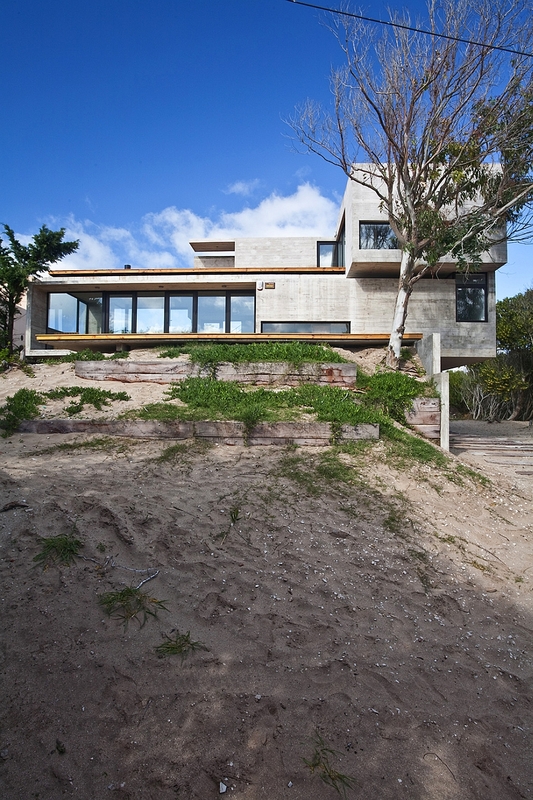 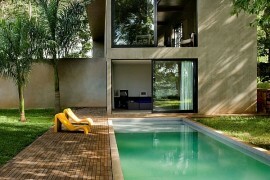 Flanked by the mighty Atlantic Ocean on one side and a lush green forest strip on the other, the unassuming façade of this modern residence blends in beautifully with the sandy landscape that surrounds it. 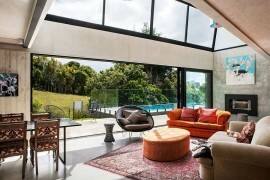 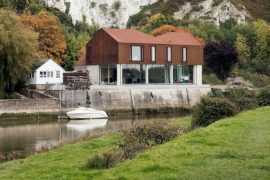 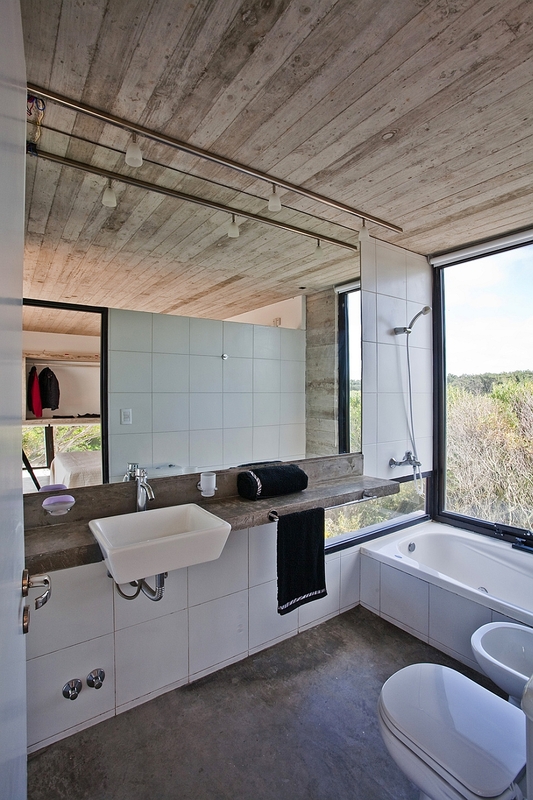 Place on an elevated part of the site, the house offers unabated views of the scenery outside while promising ample privacy. 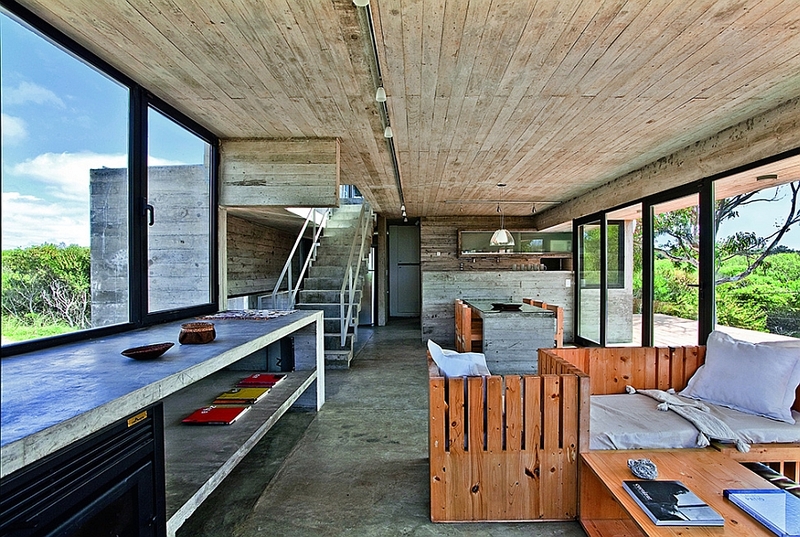 The main floor of the house features an open living area with an ergonomic kitchen, a spacious dining area, twin bedrooms for children and a gorgeous wooden deck. 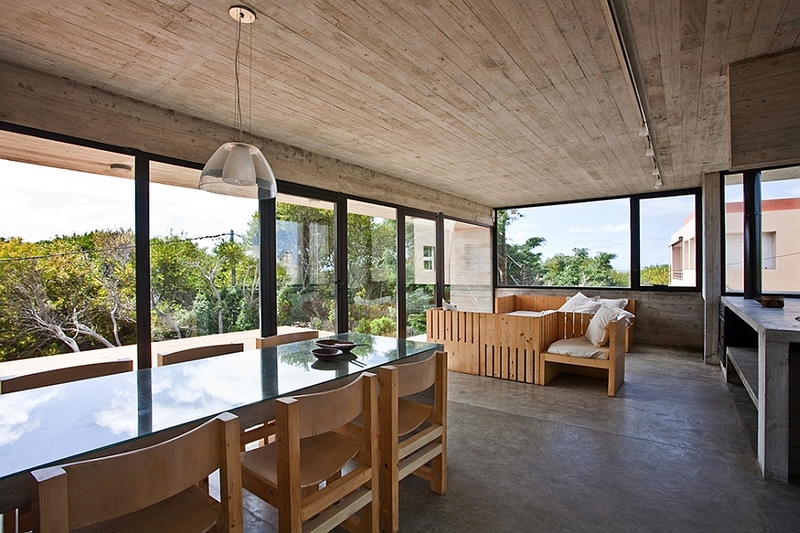 On the top floor is the master bedroom that offers a private entrance to the sweeping terrace through its large sliding glass doors. 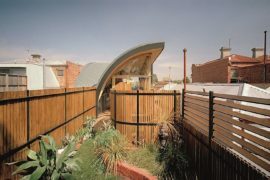 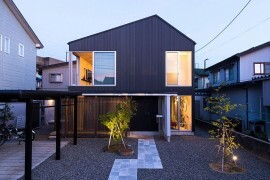 Draped in a trendy industrial style, the intentionally unrefined look of the house gives it a unique identity of its own while adopting a clean and well-defined contemporary outline. 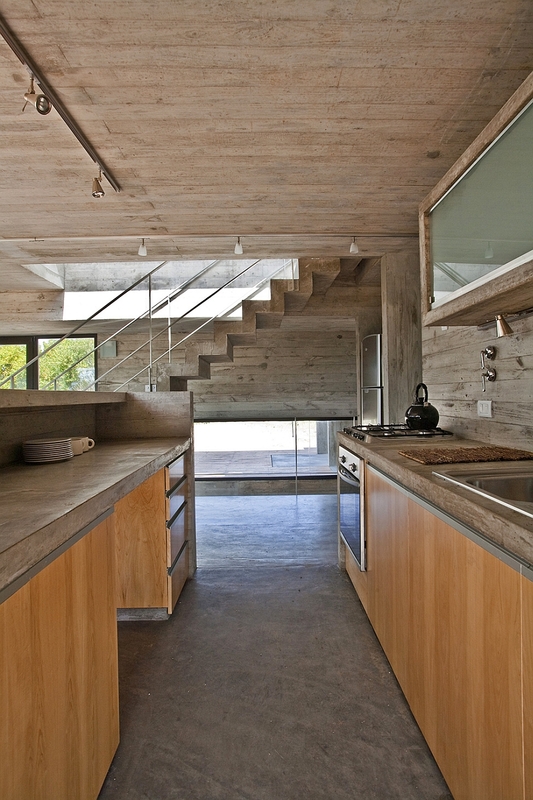 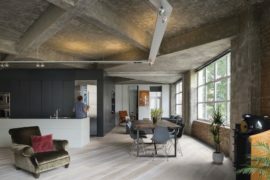 Raw concrete, exposed steel beams and unfinished wooden surfaces combine to make the interior both inviting and inimitable.